Well in the meantime, I’m throwing down my 2 cents about things I think can be further improved in future wordpress branches and releases. I’ve been using wordpress for many years but recently I’ve been really stretching it for a number of clients who would have traditionally been used to enterprise CMS products (shudder!). WordPress knocks the socks of these so called enterprise CMS products on just about every front. Hopefully I can highlight some key areas for improvement that will effectively make wordpress a serious option for just about ANY site possible – without sacrificing it’s pure ease of use that already makes it a real winner. Fix deployment – Ok this is a big one. So I’ve spent weeks and months building a site on a local development machine and then come to move it to a live server. Joomla does this with one or two code line changes. WordPress – not so much. At least not that I’ve seen. It’s quite common to see users struggle with image path problems, permalink id’s being hardcoded in the db and not easily changed. Yes, there are nice little plugins like Search and Replace which do go some way to fixing this already but deployment is such a core part of wordpress development that it really should be managed better within the product itself. Fix permissions -A lot of shared hosts these days run php with fast-cgi or some flavour which allows wordpress to run under the user’s own server user account. This is fine and dandy until you put wordpress under some serious load and need to switch to php_mod. Once you do this you’re left with little option but to start setting world writeable permissions on lots of individual directories that while there’s no other way around it – should be simplified and maybe centralised. This would at least take some of the guesswork out of the process. While this isn’t something that is specific to WordPress, I think this does need to be looked at – especially establishing a standard convention for plugin developers to follow to make life easier for sysadmins to know what needs writeable permissions. Better widget management – Ever tried setting up a site to have context specific widgets displayed on specific pages, in a specific order? Yip it’s not so easy. Again yes there are some plugins which go some way to helping with this but this is something I feel strongly should be part of the core and wouldn’t over complicate WordPress. Take a leaf out of how Joomla handle module display. It’s quite simple but powerful. Admin GUI still needs work – Ok so you’ve found that plugin that will solve all your woes and make your life all that much better. You go ahead and install it. Now where the hell is it? Did it get it’s own tab or is it buried within Settings or Tools? Anyone? A more elegant and usable scenario would be to centralise where all plugins get installed. I often find the WordPress UI can VERY cluttered by the time you’ve installed the full remit of plugins you could be using on a production site. Time to think about scalability guys. Anyway, that’s it for now. I’ve a thousand other ideas swirling around in my head but those are the new that keep coming to the surface. 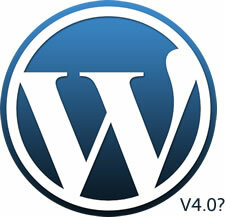 So what do you think needs to be the focus for future wordpress releases?